Walnut has leaves that are alternate in arrangement, and pinnately compound, with a large number of leaflets (way more than their close relatives the hickories). It was necessary during the First World War to perform surveys locating individual Black Walnut trees because the wood was especially well suited for making gunstocks and airplane propellers. 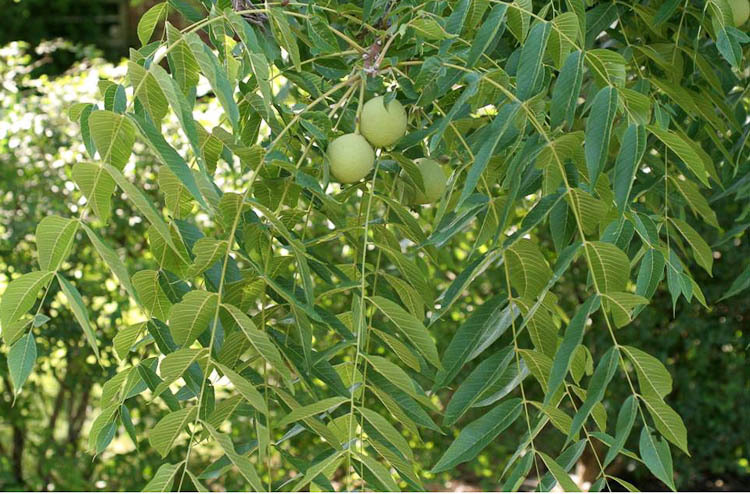 Walnut trees produce large pinnately compound leaves. 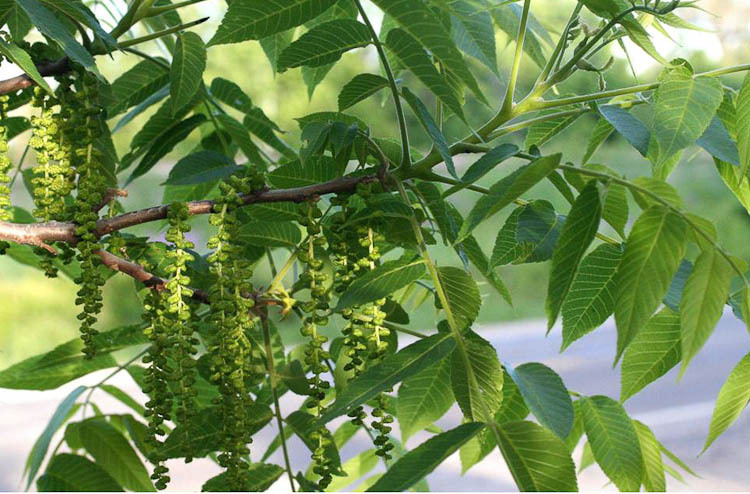 Walnut trees, like many forest trees, produce separate male and female flowers, but both types are on the same tree (i.,e., they are monoecous). 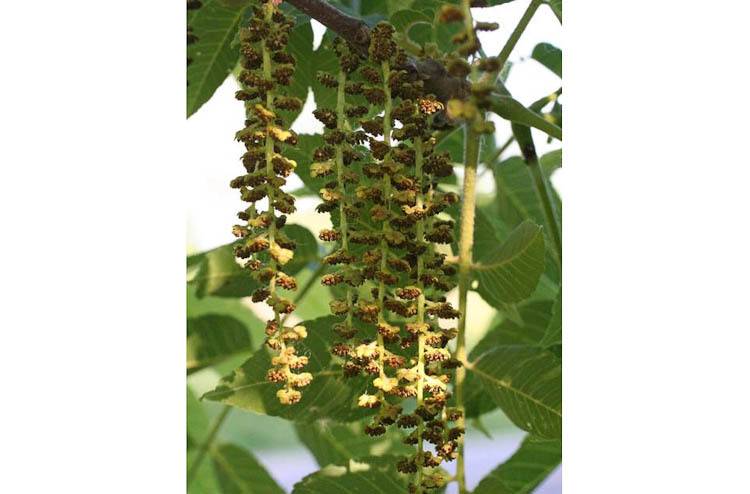 Male walnut flowers are tiny, on elongate catkins; females are large, fewer. These ones in pairs or few-flowered clusters are the females. Note the elongate pollen-receptive stigma, looking like rabbit-ears! 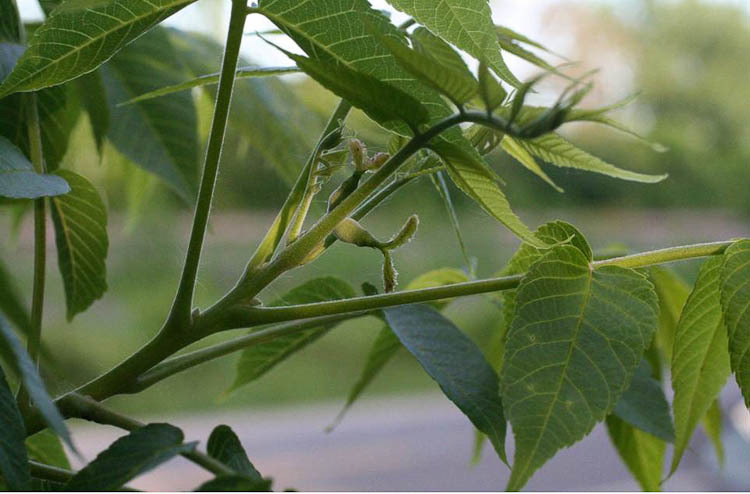 Walnut female flowers are large, petal-less, and have elongate pollen-receptive stigmas. 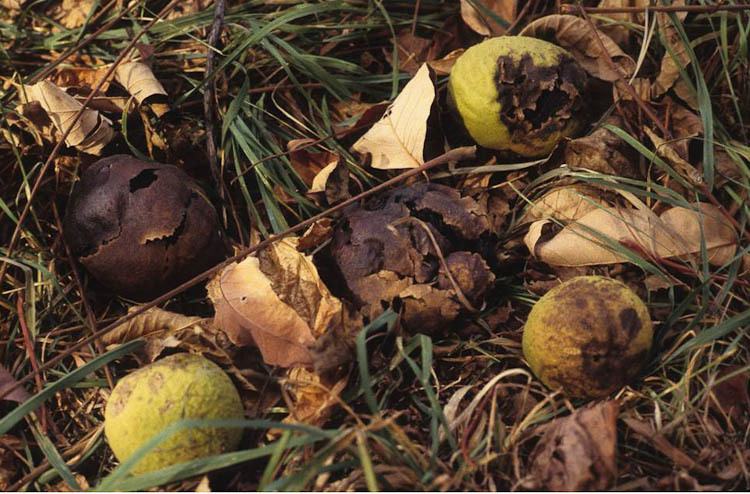 Black walnut fruits contain an edible seed –delicious, but hard to open.